More and more, employers use mandatory substance abuse tests to screen job seekers. In most cases, a candidate cannot be hired without passing any substance abuse and other pre-employment tests. Your local urgent care clinic can help if you’re in need of anything from an alcohol saliva test to a DOT physical. With on-site labs and extended business hours, urgent cares can be the most convenient and affordable solution for all of your occupational health needs. Pre-employment alcohol saliva tests and other substance abuse testing are available every day of the year. 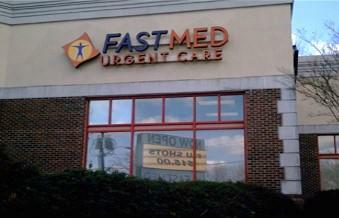 FastMed is an urgent care clinic that provides pre-employment occupational health services like alcohol saliva tests and physicals. It’s not only a convenient solution, but also one that is affordable and covers all of your basic health needs. Before receiving, or even paying for, an occupational health service, alcohol saliva test, or other substance abuse exam, it’s important to clarify how your expenses will be covered. Typically, the cost of your visit is either covered by your employer or paid out-of-pocket. For qualifying patients without insurance coverage, the FastMed Savings Plan may also aid in any associated medical costs. To learn more about the program, and to see if you qualify, check out our savings plan.